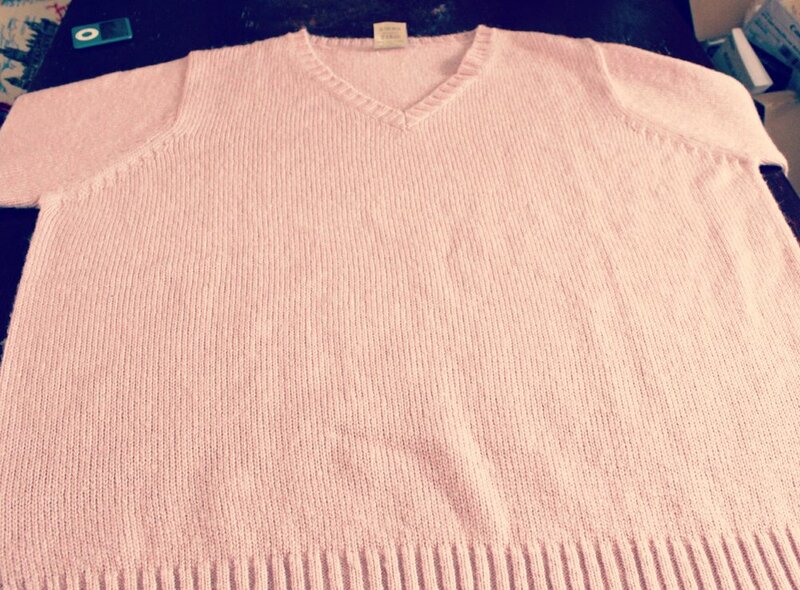 Get a BIG jumper, I got mine for £4 from a charity shop and I do like a bit of pink! Using a pencil write what you want your message to say, this is for all the cat lovers out there. Then simply pin the ribbon into place, easy. Using a friendly sewing machine (mines called Pricilla) stitch the ribbon into place, sew both edges of the ribbon so that it wont snag on anything. Voila! A I Love Cats jumper that anyone would be proud of!